Born and raised in San Antonio, TX. Love studied art and graphic design at San Antonio College and received her BFA focusing on painting and new media at the University of Texas at San Antonio in 2010. Love has worked in a variety of creative industries including tattoo art, scenic art, mural painting and restoration, art instruction and freelance photography, design and illustration. Somewhere at the crossroads of coincidence and intention, flow and structure, metaphor and definition, there lies an uneasy truce between forms and symbols. Every lie contains a kernel of truth and every truth has multiple perspectives. 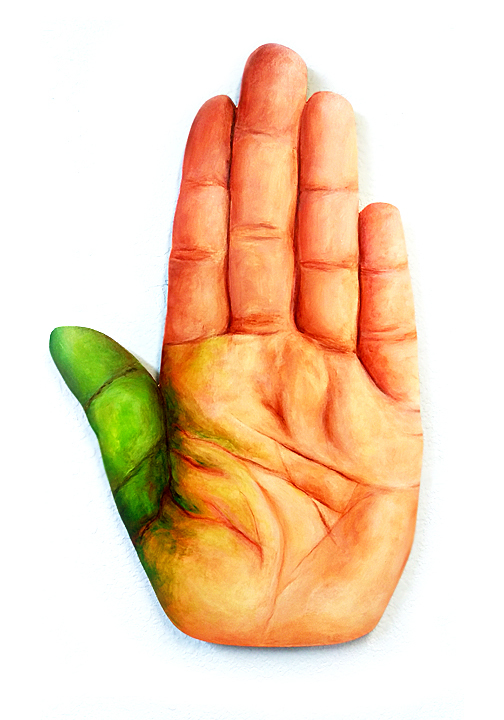 The conflicting ideas I present in my work often clash and converge in unexpected ways. This struggle is what motivates, excites and delights me most when making art. Olson was raised on a farm in SE Minnesota. He studied art at Bemidji State University in northern Minnesota. After graduation he moved to Portland, OR., Denver, CO., Baton Rouge, LA., Keller, TX., and finally to San Antonio, TX. He currently works with a special education program at a local Jr. High School. 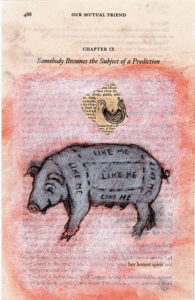 His current works are predominantly small scale, mixed media drawings, and combined with elements of text and collage. Olson’s work consists mostly of combining created imagery, as in drawing or painting, with found objects and collaged imagery, as well as found text from books, etc., and hand written words and passages. I enjoy the interplay of the symbolic effect of the provided and created imagery. People have it ingrained in them to provide meaning to the objects around them. It is perhaps more so with the everyday objects. I enjoy the stories and memories that my works seem to bring out in people. 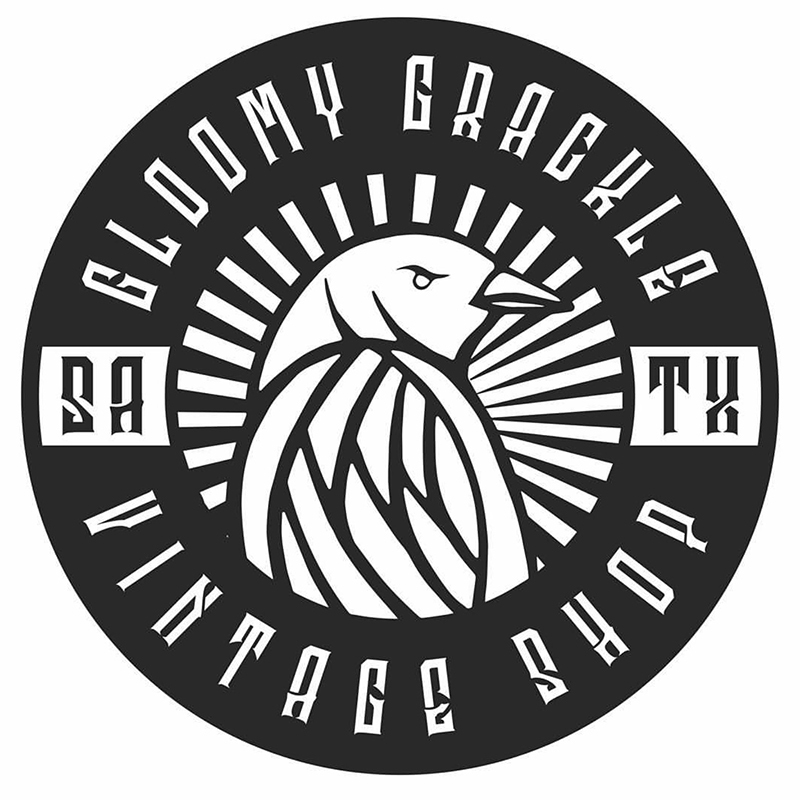 Owned by San Antonio native Jacob Campos, the gloomy grackle offers an ever changing collection of oddities, unusual antiques, and rare collectibles including taxidermy, vintage medical equipment, charts, books, religious artifacts and many more items found throughout the continental United States. 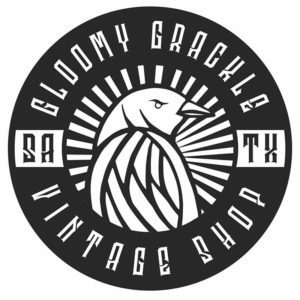 The Gloomy Grackle will be available at Presa House by appointment through the month of June, for questions or inquires visit them on Instagram @thegloomygrackle. Ila Minori is a veteran of the San Antonio music scene and a seasoned singer-songwriter. A San Antonio native she’s known for her blend of pop and folkish often windswept sound combined with candid, and heartfelt lyrics. She’s performed nationally and internationally and was voted best songwriter in 2016 by the San Antonio Current. Her latest album “Traveling with Ghosts” was inspired by a recent trip through Italy. An earnest depiction of the pain, uncertainty and sorrow the journey culminates into a new found love, creativity, and inspiration. The newest video off the album “Gritty Streets of Rome,” was produced and directed by Kat Tan and was filmed in non-traditional locales throughout Rome. 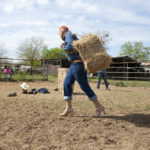 Laura Grace Robles is a video artist based in San Antonio who takes the interdisciplinary approach to manipulating and showcasing moving image as film to contradict cinematography. Her unconventional film making methods and standards are led by the Dogma 95 and Pink 8 film making manifestos which contribute to the new punk cinema movement. 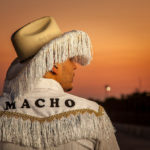 In 2016 Robles and Fabrizio Federico founded The Straight Jacket Guerrilla Film Festival, a festival that unites Texas and The United Kingdom by representing a collective of unhealthy films that aim to destroy Hollywood. Robles uses video installation and single channel projection to showcase her Anti-Art films during live musical performances by her musical project Anti-Beauty and other well-known musicians. Robles films have shared the stage with local and national acts including Com Truise, The Octopus Project, Gordon Raphael Producer of The Strokes, hip hop legend Rakim, and Grammy winner Marcel Rodriguez Lopez of the Mars Volta. Dya is a multi-instrumentalist, video game composer, and chiptune archaeologist who excavates the sounds of video game systems from ages past to craft the sounds of the future. His music encompasses an eclectic blend of melodically driven synthwave, prog, punk, jazz and edm jams using tools like the Sega Genesis, Nintendo Entertainment System and Commodore 64 with a DIY twist.